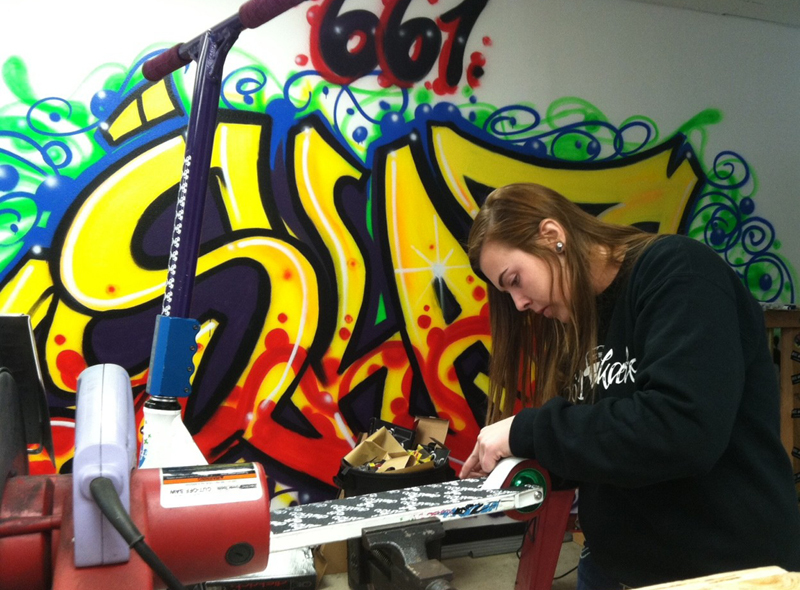 Sarah Ross, a 17-year-old senior at Saugus High School, co-owns a skateboard and scooter business with her father, Thomas, called 661Skate. The idea sprouted four years earlier because she was a tomboy skater. “When I was 13 we lived on a block with all boys. I was the only girl, me and my sister, and my sister wasn’t too into that stuff, more into doing her hair and stuff like that,” said Ross. So Ross approached her father about selling skateboards. He liked the idea as long as she did all the research. “I got the business license and everything like that and then we ordered. 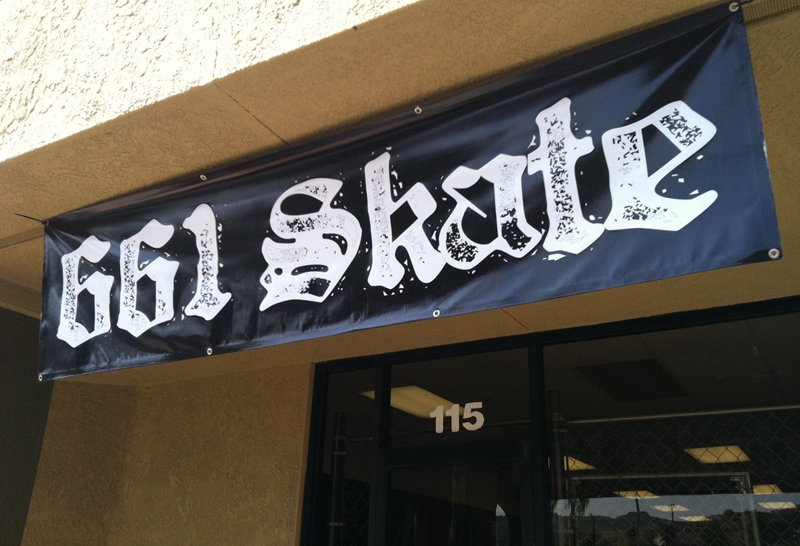 Our first order was just eight skateboards, so we started with just eight and sold those. Just to like friends and stuff,” said Ross. Word got around quickly. Ross began selling on eBay and at the Saugus Swap Meet. Even that was enough for their growing customer base. “People started wanting to buy stuff so they started just coming to our house and buying stuff from there. It got way too busy,” Ross said. That’s when the daughter-dad combo decided their name and reputation was big enough to open a brick-and-mortar business on Soledad Canyon Road in Saugus. “It’s been good and steady ever since,” Ross said. So steady, Ross works at the store after school and unfortunately can’t keep her skating skills sharp as she’d like. “I mean I don’t have time to really go out everyday and practice, practice, practice. I’m here everyday from one to seven. Even later some days,” said Ross. Ross said she plans to attend College of the Canyons after graduation with an eye towards a business degree. In the meantime, there are still regular high school things to be concerned about, like prom. She doesn’t think she’s going to go. “What I’ve heard about prom, it’s not that great,” said Ross. Could it be that this successful entrepreneur and tomboy doesn’t want to wear a dress? “That’s fine. I’m cool with that when I have to,” Ross said.